Transylvania in central Romania is famous for its legends of Dracula and its primitive towns and castles. Many people still do not believe that this land exists. With mountainous borders Transylvania is rightly called ‘land beyond the forests.’ This notorious area shelters the most haunted forest in the world, The Hoia-Baciu Forest. 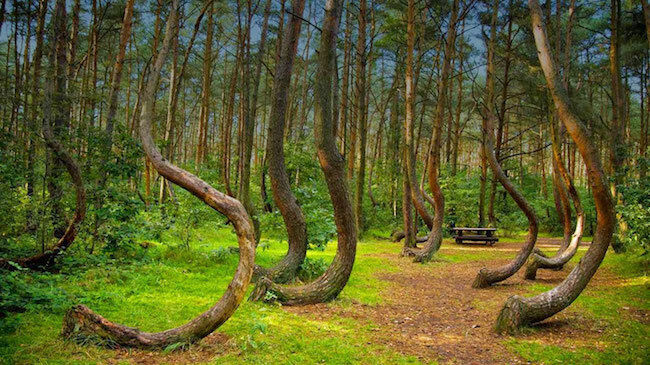 The Hoia-Baciu forest situated outside the city of Cluj Napoca is known as the “Bermuda Triangle of Transylvania“, because of the mysterious happenings and paranormal activities there. Many tales of unusual happenings are reported about the forest. Ghost sightings, mysterious sounds, unexplained hallucinations, flying lights, appearance of geometric shapes, twisting of trees are some of the common experiences visitors had in the forest. There are also stories of travellers vanishing suddenly without any clues. Over thousands of people are supposed to have disappeared till now. The forest got its name from a mysterious occurrence. In Roman, ‘Baci’ means sheepherder. It is said that a local shepherd disappeared in the forest with his 200 sheep. They were never seen again. The people around the forest believe that one who enters the forest never returns. They believe that the forest is haunted by the spirits of the peasants who were brutally murdered in the forest. Their spirits are trapped inside the forest. These spirits punish those who enter the forest. Many people have reported that while walking along the edge of the forest, they feel that a pair of eyes is watching them. Many have heard strange laughter and sounds from trees. Some visitors have seen strange faces without bodies suddenly appearing from nowhere. Many orbs of lights are also seen coming from the trees. People who entered the woods came out with unexplained rashes, scratches and burns. Some also got headaches, nose bleeds and experienced nausea. The photographs taken in the forest showed shadowy figures and images that were not present when the photos were clicked. In between the twisted and the crooked trees of the forest there is one particular circular area of the forest where there are no trees at all. The paranormal experts believe that the activity is at its peak in this strange area. Many have reported of UFOs flying over the area. The reason of disappearances is also linked with alien abductions. The forest became famous for its UFO sightings in 1968. A biologist named Alexandra Sift had come to the forest to study the strange phenomena occurring there. She captured images of a strange disc shaped object flying over the forests. 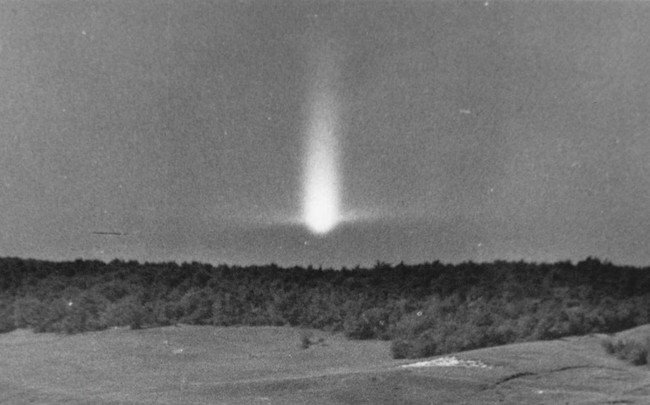 Then in the same year on 18th of August, Emil Barnea, a military technician also clicked clearer photos of the similar objects. In the 1970s the Hoia-Baciu forest became famous for the UFO sightings. The most recent UFO was seen in 2002. From the top floor of an apartment building in the adjacent city of Cluj. Two locals recorded a 27 seconds video of a bright cigar shaped object flying over the forest. The object then flew to the sky and disappeared. Some believe that the forest might be a gateway to another dimension or is the boundary between our world and another world. Many visitors have reported experiencing missing time when in the forest. One of the experience is that of a five-year old girl. She went in the woods and got lost. Many searched, but found no sign of the girl. Five years after this incident the locals found the same girl crying outside the forest. The girl still looked five year old and her clothes also were the same. The girl did not remember anything about those five years when she went missing. Many researchers have been visiting and studying the Hoia-Baciu forest. 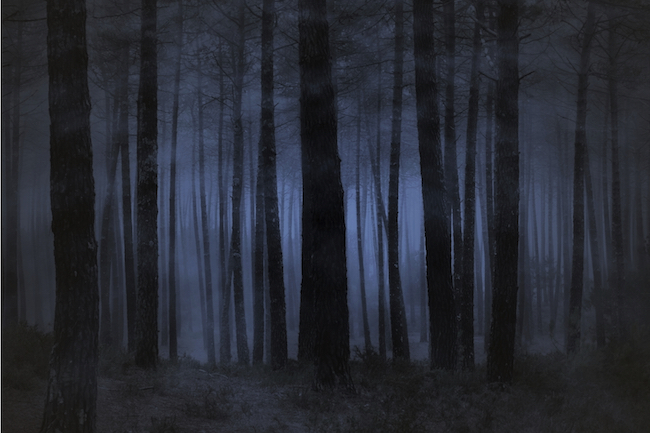 Many believe that the forest is indeed a home to paranormal activity and UFOs. One of the theory that was proposed was about the ultra-low frequency sound waves. It was said that may be the forest is a source of such waves that cannot be heard by a human ear. These sound waves however can create acute physical effects from their vibrations. These waves also may be the cause of the audio and visual hallucinations and also cause of the physical discomforts the visitors faced in the forest. The stories about the UFO sightings, paranormal activity, dead vegetation area, missing time experienced in the Hoia-Baciu might be made up or exaggerated, but many still believe that there is indeed something strange happening in the forest. Is something really there? Some force that is beyond our imagination and out of our world? Let us wait and see if someone is able to solve this mystery in future.